Is Mamata stirring up a Christian-Muslim divide in Gorkhaland? 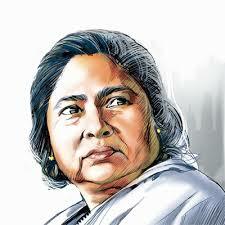 Is Bengal Chief Minister Mamata Banerjee up to some ‘social engineering’ of her own? Is she sowing discord among the Muslim and Christian population of the Hills? Mamata, in a rally in Kalimpong on September 22, had said ‘minority communities’ had approached her and sought the formation of a ‘cultural’ board. She’s plans to announce a ‘Minority Development Board’ for Gorkhaland region on 27 November. The Christian community, which accounts for about 10 per cent of the hill population of 8.75 lakh, had never demanded a development board. So, there are approximately 87,000 Christians in the Gorkhaland region. However, the Muslim population in the hills, with a population of around 40,000, has been demanding a development board for the community since 2014. Arif Khan, the president of the Pahari Muslim Welfare Society based in Kurseong, is spearheading the demand. “We have been demanding a Pahari Muslim Development Board. Pahari Muslims were recognised as a backward class by the West Bengal government in 1999,” he said. So, in effect, is Mamta reaching out to ‘backward class’ Muslims in the name of ‘minorities’? At a meeting of several hill Christian leaders was held at the Divya Vani Pastoral Centre in Darjeeling, the supposed board formation was discussed. Jyotima Subba, the president of the All Christian Hill Minority Association, said the community members had learnt that the state government was forming a Pahari Minority Development Board and the board’s announcement was to be made on November 27 in a Trinamul rally in Darjeeling. Those present at the meeting have decided to write to the chief minister requesting her to keep the declaration of the board “pending till further detailed studies are made by the communities concerned”. Till date, Mamata has formed 12 development boards but all of them are based on community and not religious lines. Communities such as Lepchas, Tamangs, Rais, Sherpas, Bhutias and others have boards. Why start a controversial thing that will only divide the two communities? That’s the question. Of course, there is another angle: can’t the board bring the Muslim and Christian Communities closer together, so they work in harmony and cooperation? Any chance of that happening? One Response to "Is Mamata stirring up a Christian-Muslim divide in Gorkhaland?" Didi is doing the boogie woogie all over the land!